With hiring or recruitment officers getting hundreds of resumes every day, the need to make yours stand out is necessary. Without resorting to fancy colored or scented paper, here’s how to write a winning resume hiring managers are likely to pick up. Your resume is not only for highlighting your qualifications. Use it to show your winning personality. Don’t be a bore. Inject a bit of your character and let “you” shine. Try to come across as a real person, one who’s friendly, outgoing, and full of life. You can be personable yet remain professional. Be engaging, entertaining, and confident with your professional credentials. Undercoverrecruiter.com’s Jorgen Sundberg suggests using positive language at all times. He adds that potential employers should feel your upbeat and positive attitude right after reading your resume. Format your resume in a way that all your important details are in one place, usually the top half of the document. This helps hiring/recruitment officers skim and scan for work experiences, skills, and qualifications easily. About.com’s Alison Doyle says that though there’s no perfect resume format, resumes’ with a profile or a headline are bound to shine this 2013. Format your document and combine this element with accessible work information to write a standout resume. This gives the document the boost it needs to get noticed. The worst thing that can happen to you is for your resume to be noticed for all the wrong reasons. Grammar and spelling errors have no place in a document as important as a resume. Proofread the content as many times as you can to ensure that it’s 100% error free. Concentrate: it’s easier to spot grammar and spelling errors if you focus on what you’re writing. Minimize noise, distractions and other potential interruptions. Turn off the TV or the radio and stop checking your Facebook or Twitter account long enough to finish writing your resume. 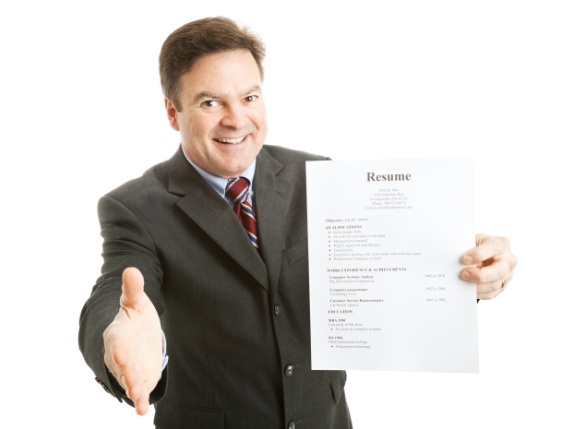 Print it Out: Print a copy of your resume and read what you’ve written out loud. This will allow you to correct errors you missed out when you were writing the document on your computer. Read Words Backward: The brain automatically corrects spelling errors within sentences. Reading words backward help increase awareness and allows you to see mistakes easier. Watch out for apostrophe, contraction and punctuation errors: Words like “your” and “you’re”, “it’s” and “its” and “they’re” and “their” mean different things. These are common errors to make so watch out for them. Use the dictionary to check the meaning and the right usage when writing your resume. Do Peer Editing: Get a friend to proofread your resume one more time to catch errors you may have missed. Peer editing is a great way to ensure you’re writing a winning resume. Remember, a great resume is a flawless resume. At the end of the day, hiring/recruitment officers are just looking at clearing the mounting stack of documents off their table. These tips will help you write a standout resume that’s sure to get any potential employers’ attention.